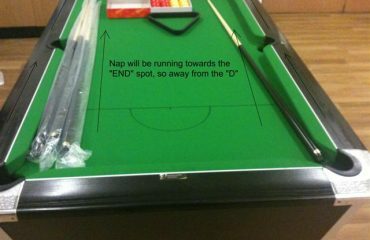 Will my floor take the weight of a pool table? It is a commonly thought that floors need to be specially strengthened to support the weight of pool tables and snooker tables. In fact, the actual floor loading over the area involved is very low. We do however advise that you make your own checks and do not assume that it will be ok. The total weight of a full size pool table or snooker table is unlikely to be over 1250kgs and the table stands on 8 legs so the loading per leg is approximately 157kgs. The area of each leg in contact with the floor is about(or at least) 50 square centimeters so the loading square centimeter is about 3.13kg/sqcm, however the average over the floor area occupied by the table will be about 0.35kg/sq cm. Or as a comparison equal to about 15-18 people standing over it.